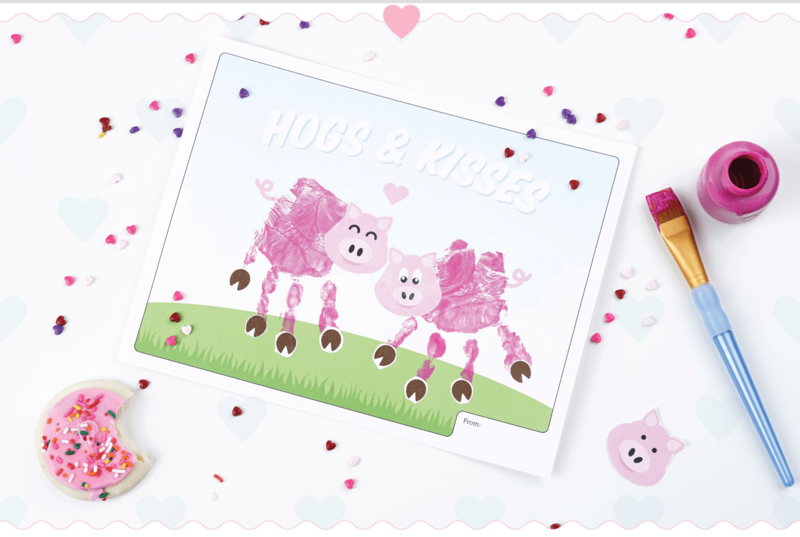 For a fun Valentine’s Day art project the kiddos will love, try this handprint pig craft. Our friends over at Personal Creations always have the best kid crafts. This one is so cute, personal and perfect for Valentine’s Day. Using pink washable paint, place hand above pig hooves and wait at least five seconds before removing. Once dry, have the kiddos attach eyes, ears and a heart-shaped nose to the pig to complete. You can download the printable by Clicking HERE. Are you looking for more printable handprint sheets for Valentine’s Day? Visit Personal Creations for more fun printables!